Take advantage of this Limited Offer on a 15-night cruise in MS Bremen in Antarctica, Ushuaia to Ushuaia (BRE1224) visitingSouth Georgia, South Orkney Islands, South Shetland Islands and the Antarctic Peninsula – 30 November – 15 December 2012. Offer strictly subject to availability. Special: Fares start from £5,380 (normal fare £6,535) per person in Category 1 in double occupancy, cruise only but including return charter flight Buenos Aires-Ushuaia-Buenos Aires and a complimentary upgrade to Category 3. Also: No single supplement in Categories 2 to 5. Early Booking Reduction: Book by May 2, 2012, and receive a full 5 % reduction. 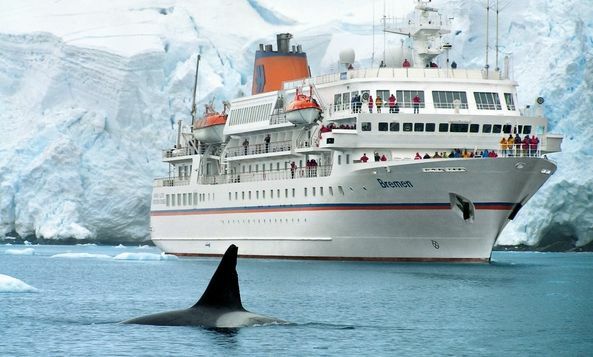 For more information on Hapag-Lloyd Cruises’ Antarctica and other itineraries please visit www.hl-cruises.com. For bookings, enquiries or brochures please call Gay Scruton at The Cruise People Ltd in London on 020 7723 2450 or e-mail cruise@cruisepeople.co.uk.